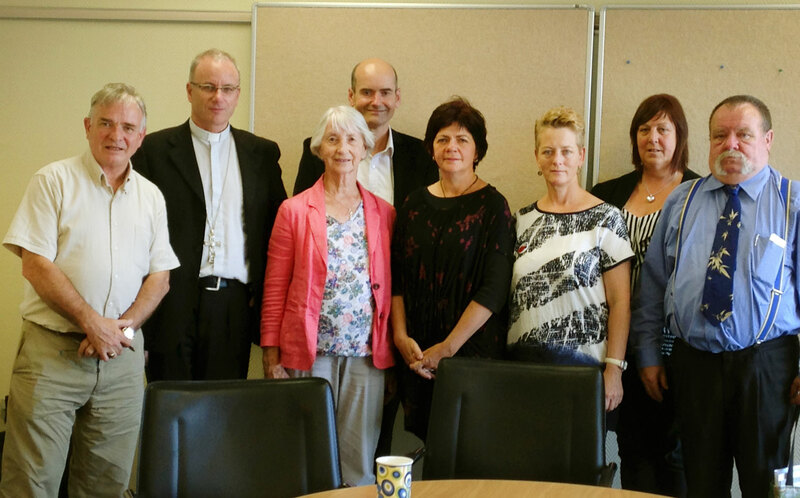 On 29 January the Palmerston North Diocesan Justice and Peace Commission, together with Bishop Charles Drennan, hosted the national coordinator of the Living Wage Network, Annie Newman. Representatives from the Anglican and Methodist Churches, together with Union and Employers Representatives, met at the diocesan centre to learn more of the work of the Network and how its goals may be promoted in the business community. The Living Wage network is a global movement rapidly growing in support from a cross section of groups in society. It is neither a union nor particular political party initiative. Faith groups drawing on the scriptural foundations of human dignity and justice were to the fore of its organisation. Bishop Charles suggested that ‘the network’s strength lies in uniting voices which traditionally have been heard in opposition to each other’. ‘No right-thinking person could be against a just wage so the determination of what that sum might be needs to be a chorus of many voices,’ he said. For New Zealand the living wage figure is $18.40. But our minimum wage is more than five dollars less at $13.75. On a positive note the Living Wage network has gathered data showing that companies and institutions which introduce a living wage benefit from greater staff loyalty and initiative and far lower staff turnover than similar companies offering low wages.